Get R10 off your ticket price for The Baby Show! Just a few more weeks before the most exciting parenting event of the year! Get R10 off tickets for The Baby Show with Parent24. If you're a parent-to-be or just welcomed your first child you'll want to make your way to The Baby Show. 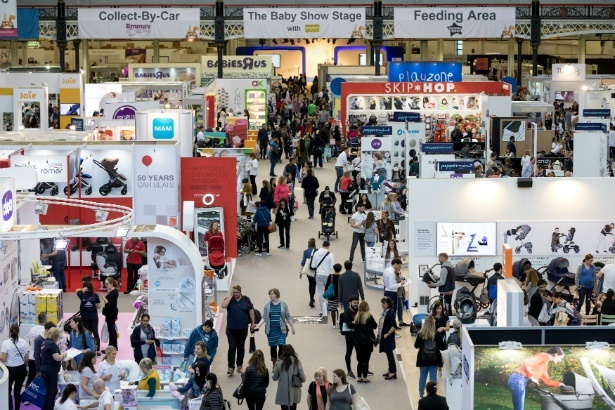 The UK's biggest baby expo will be arriving on local shores and kick off from 28 to 30 September at the Kyalami International Convention Centre in Gauteng. Expect some amazing specials on both local and international baby brands (hello, bulk nappy purchases! ), talks by internationally renowned parenting experts, a dad zone for car aficionados and more. Parent24 has partnered with The Baby Show and will be introducing a first to South Africa: the Shop & Drop and Collect-by-Car service, free to all attendees. This means attendees making purchases at the expo will be able to leave their parcels at the official Parent24 drop-off counter. When you're ready to leave, you just bring your car around and professional porters will be on hand to pack your purchases into your boot so you can shop as much as you'd like without worrying about parcels and packets. Tickets are selling fast, so hurry and get yours! Cost: R85 to R200 – there are various ticket packages. Get a R10 discount when you use our promo code PARENT24 when booking through The Baby Show & #MeetUp website.